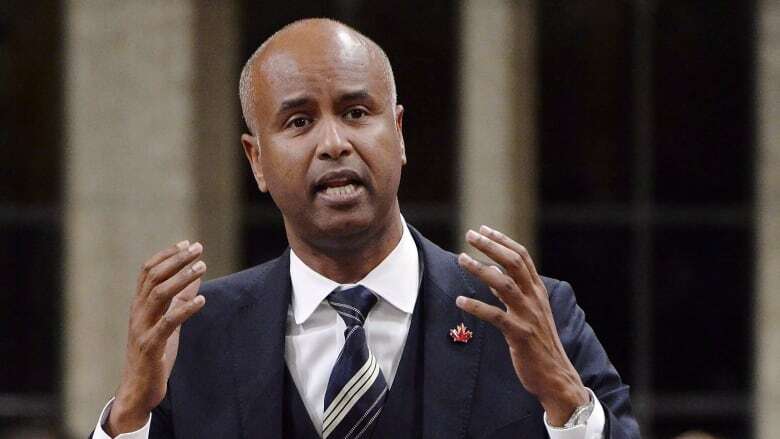 Immigration Minister Ahmed Hussen says Canada will take in 350,000 immigrants in 2021. That's 40,000 more than it expects to admit this year, and nearly one per cent of the country's population. The target for new arrivals in Canada will rise to 350,000, which is nearly one per cent of the country's population. The figures were announced Wednesday as part of government's updated multi-year immigration levels plan, which covers the next three years. The target rises annually from 310,000 this year, counting all classes of new arrivals. "In certain regions the hunger for workers is huge," he said. "This plan is making us very competitive in the global market. It enables us to continue to be competitive, it enables us to continue to present Canada as a welcoming country and to position us to continue to be (a leader) in skills attraction." Many immigration advocates and economic groups had called for bigger increases to Canada's immigration numbers. The government's own economic advisory council suggested admitting 450,000 people in a report in 2016. "You need to be able to house them, you need to be able to settle them, you need to be able to provide integration services," he said. "It's also a question of gradual increase so our immigration system can be able to process these things, communities can be able to absorb them and local immigration partnerships can do their work," he said. "We can't just go to 450,000 at once. You need to build up to that." He also noted that Canada has "exported" its program allowing private citizens to sponsor refugees to several other countries that previously did not offer a program like that. The United Kingdom has implemented its own version of Canada's program, with Ireland and Germany set to soon do the same.